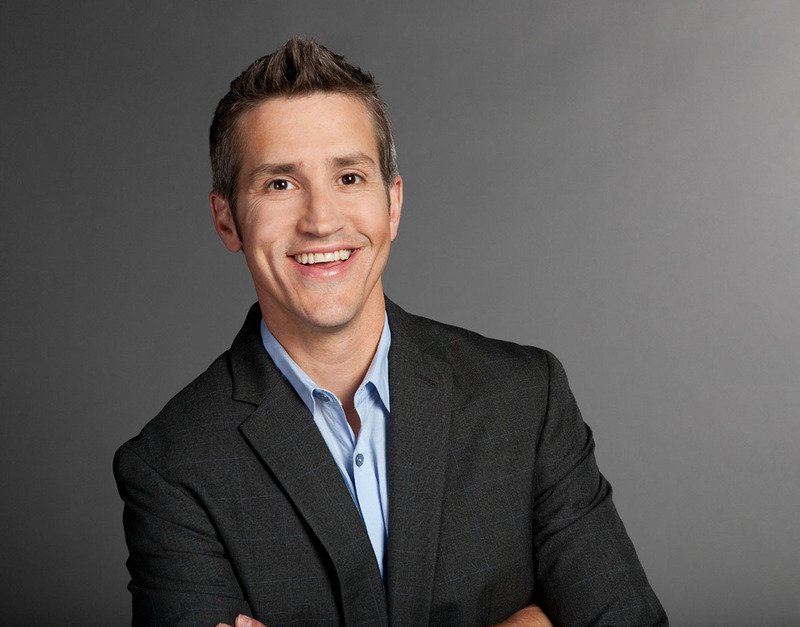 Jon Acuff had eight jobs in eight years, constantly hoping the next one would be different. From writing advertising for The Home Depot to branding for companies like Bose and Staples, he spent considerable time in the cubicle. Then he asked, what if? Those two small words fueled the start of a great new career for this best-selling author who visits Northeast State Community College on Nov. 13 at 10:45 a.m. in the WRCPA Theater on the main campus at Blountville for a free lecture for students and business professionals alike. In 2010, he closed the gap between his day job and his dream job when he joined the Dave Ramsey team to become a full-time author. Acuff authored the Wall Street Journal best-selling book Quitter: Closing the Gap Between Your Day Job and Your Dream Job. He also authored Stuff Christians Like and Gazelles, Baby Steps and 37 Other Things Dave Ramsey Taught Me About Debt. He’s also an experienced speaker and the creator of www.StuffChristiansLike.net., a blog read by more than 2 million people in 97 percent of the countries in the world. He is also a regular contributor to many media outlets including cnn.com. And it all started with two words: What if? What if you took a dozen years of branding expertise and combined it with a visionary approach to social media? What if you could raise $30,000 in 18 hours to build a kindergarten in Vietnam? What if you took everything you learned from the brand giants and applied it to leadership? Acuff has spent the last three years exploring what it means to take ideas to unexpected places. Touring the country as a sought-after speaker, he’s worked with everyone from dairy farmers to CEOs of billion-dollar companies to turn ideas into action. Called “hilarious and insightful” by Group, Acuff brings a wealth of ideas to share with individuals and companies of all sizes. With conference keynotes throughout the year and one of the most popular blogs in the world, he’s just getting started. Born in Durham, N.C. and raised in Boston he now resides in Franklin, Tenn., with his wife, Jenny and two beautiful young daughters. For more information contact, 423.354.2474 or keglover@NortheastState.edu. Workforce Solutions at Northeast State is offering various business- and technology-related workshops this summer and fall. Among the topics are combustible materials, robotics, project management, workplace violence, OSHA standards, and electrical safety. For more information, contact Cindy Tauscher at cmtauscher@NortheastState.edu or call 423.543.2570. Any combustible material (and some materials normally considered noncombustible) can burn rapidly when in a finely divided form. If such a dust is suspended in air in the right concentration, it can become explosive. The force from such an explosion can cause employee deaths, injuries, and destruction of entire buildings. Materials that may form combustible dust include metals (such as aluminum and magnesium), wood, coal, plastics, biosolids, sugar, paper, soap, dried blood, and certain textiles. In many accidents, employers and employees were unaware that a hazard even existed. Course Hours: 8 a.m. – 5 p.m. Please register for this course by July 21. Upon completion of this robotics course, participants will have gained both manufacturing and robotic technological skills. The concepts learned include mechanical, electrical and manufacturing. Participants will be well equipped to begin work within a general manufacturing environment and more specifically, in a robotic system’s production environment, which is unmanned and intelligent. The labs in this program provide participants with a robot kit that ensures a hands-on experience. Upon completion they will have created a full functioning robot that uses the same concepts that the U.S. Department of Defense and commercial robots have. They will have a set of worker standards that qualify them to test for the Manufacturing Skills Standards Council’s Certified Production Technician (CPT) and National Robotics Training Center’s Certified Robotic Production Technician (CRPT), which is a nationally recognized certification. This course will be instructed by Cynthia West, a practicing project manager and Certified Project Management Professional (PMP). Course structure is based on the Project Management Body of Knowledge developed by the Project Management Institute (PMI), which consists of all the topics, subject areas and intellectual processes that are involved in the application of sound management principles to the administration of projects. This course covers the following topics: scope management, time management, cost management, risk management, procurement and subcontracts, quality management, communications, human resources management and a review of sample PMP certification exam questions. Course Hours: Tuesdays: 6:15 p.m. – 9:15 p.m. This course provides successful participants with four days of information on current topics in occupational safety and health as enforced by Tennessee OSHA. It is the official OSHA 30-hour General Industry course. TOSHA trainers will conduct the classes. Course completion cards will be awarded from the OSHA National Training Institute to each person completing the course. Attendance at all four days of class is required to receive the card. Course Hours: September 10-14 8:00 a.m. – 5:10 p.m.
Instructor: This course is offered in conjunction with TOSHA. Workforce Solutions of Northeast State is sponsoring a seminar on September 28 at the Regional Center for Advanced Manufacturing in Kingsport focusing on the requirements for compliance with NFPA 70E and the electrical arc flash hazard. Understanding the definition of arc flash, along with video footage of actual arc flashes, will help the attendee to gain a new appreciation of this hazard to employees. Arc flash calculations will be covered, as well as selection of proper personal protective equipment (PPE) to allow qualified persons to safely work within the arc flash boundary. Insulating voltage-rated tool and glove requirements will be discussed. Training for electrical workers and the Energized Work Permit will be covered. Techniques and ways to “engineer out” the hazard of arc flash will also be discussed. The instructor, Bob Huddleston, is a Licensed Professional Engineer in the State of Tennessee and serves on the NFPA National Electrical Code-making Panel 6 as voting principal member. Course Hours: 8 a.m. – 12 p.m. Please register for this course by September 10. Workplace Violence accounts for nearly 800 homicides and nearly 2 million non-fatal assaults each year in the United States. Learn what to do to make yourself, and those that you are responsible for, less likely to be a victim. This seminar will instruct how to make yourself and your workplace a harder target for those that would do harm. There are proactive steps that can be taken that will increase chances of survival in workplace violence situations including such events as active shooters. Fire evacuation plans at work are required, but the reality is you are more likely to lose your life to a human attacker than to a fire. The time to prepare is now. Active Shooter – What to do! Course Hours: 8 a.m. – 4:30 p.m.
Instructor: John Rose, M. A. Please register for this course by September 25. This seminar explores developing a Threat Assessment and Management Team (a multidiscipline team to assess the behaviors of workers, clients, students, and visitors that may be preincident indicators of workplace violence). The goal is to recognize these behaviors and stressors and take a proactive approach to head off those individuals on a pathway to violence and get them the assistance that they need, and then take the appropriate security measures to protect those in the potential path of the future violence.